and I loved him when I was a kid. He’s an incredible jazz pianist as well as a multi-instrumented master of the accordion (or “cordine” as he was wont to say) and trumpet. His sense of humor was twisted, off beat, skewed and I howled. In many ways he cemented my skewed view of the world. Thanks to YouTube I can watch him again. And again. 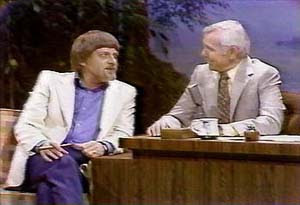 He represents to me a time when variety shows ruled, when they were simply glorious. When talent ruled supreme, when unique personality and charm and wit were the reason for the return visit. When people were famous not just for being famous. When comics weren’t deliberately filthy. When coprolalic rants and F-bomb sorties weren’t a substitution for wit. In this podcast Pete Barbutti mentions a great line from Buddy Hackett, who said (and I paraphrase): If it’s funny it’s not dirty and if it’s dirty it’s not funny. Hear! Hear! The Magic of Vegas. Pete Barbutti recounts the days of Howard Hughes and when the “boys” ran the Vegas. It’s not just a nostalgic reminiscence, it’s the detailing of history. Our history. American history. And Pete Barbutti was and is a critical character in the history and recordation of American variety.